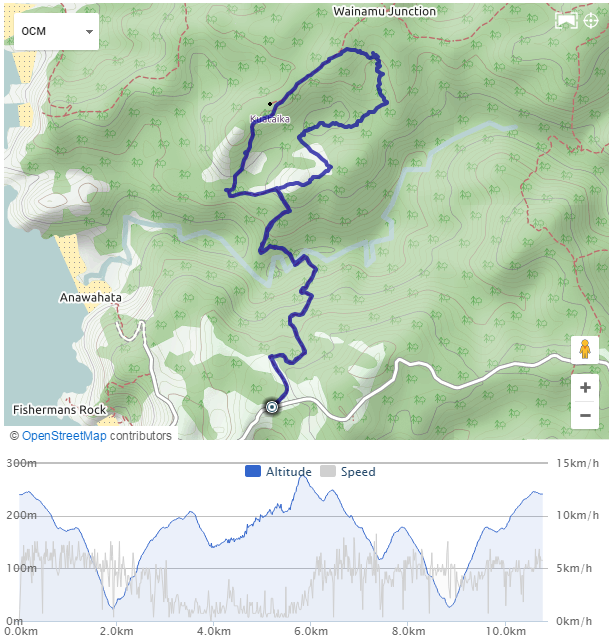 Trails: Anawhata Rd car park – Kuataika track – off track – Kuataika Stream – (planned to Wainamu Junction but failed) – Kuataika track back to car park. Note: Experienced tramper with good navigation skill only. Car Park: Yes. Anawhata Rd car park. It’s about 42 km and 75 minutes drive from Auckland city center. The “Total Time” is my time in Oct. which includes morning tea time and lunch time. That day was fine and the track was good but the off track was tough. We struggled into very very dense bush and crawled slowly like snail. I think we didn’t find the right route. We only finished half of the track we planed today. Will try it next time. Click photos below to enjoy all photos and videos.